Central Station PLUS: The professional’s choice for monitor control. You need to be able to switch between multiple sets of monitors and hear what your mix sounds like with and without a subwoofer. You want to be able to switch between multiple analog and digital sources. And you want to do it without sacrificing clarity and transparency. Meet the Central Station PLUS, the professional’s choice for monitor control. We’ve included plenty of extras to make your studio work easy and efficient. Talk to the musicians over the headphone and cue buses using the onboard talkback microphone or connect a dynamic mic to the XLR talkback input. Use a footswitch for hands-free talkback operation. A Mono switch sums the stereo source so you can check for phase problems, and Dim and Mute switches let you reduce or mute the speaker outputs without changing the referenced position on your main level knob. To top it off, the included CSR-1 remote control lets you manage it all from your desktop. 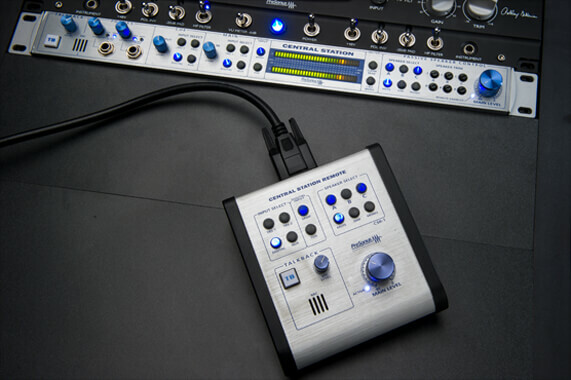 PreSonus’ Central Station Plus is one of the most feature packed monitor control systems available for professional studios and home setups alike. 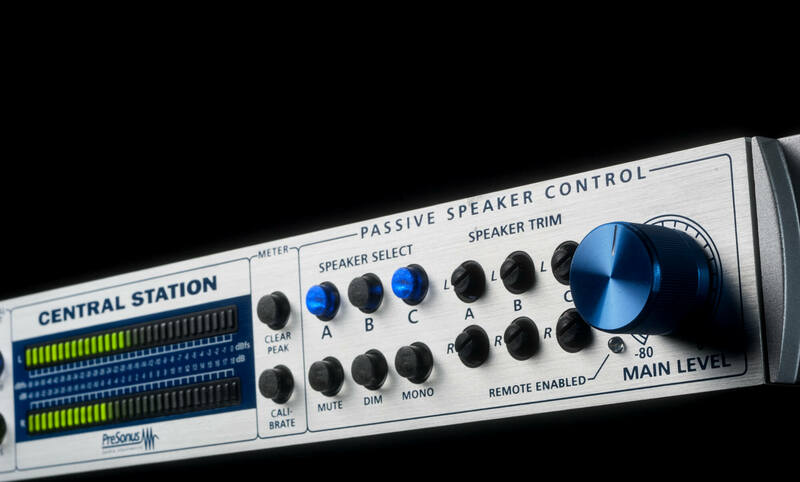 The Central Station is a sturdy, well-designed monitoring device that takes a hands-off approach to the audio signal.